Your sales and marketing departments are both vital components of your company, but if their efforts aren’t aligned, their effectiveness can be diminished. Worse, there could be times when these two important functions are working at odds with each other. To make sure both sales and marketing are working in tandem, apply some of the following principles of target marketing. 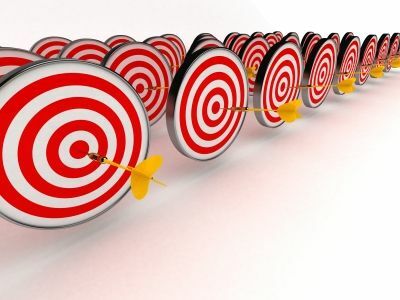 Narrow your definition of target market: The more narrowly you can define your target market, the more effectively your sales and marketing teams can service it. For example, “automotive store franchises” is too broad. Narrowing the definition to “quick-service franchises in towns with large college-age populations” brings the target into better focus. Determine personas of the customers who will buy from you: Personas represent the characteristics of a standard or ideal customer. When you know what your target market will be, define the personas in that market who are most likely to buy. Store owner is one major persona; define this persona’s needs and interests and direct sales and marketing efforts to them. Establish a process of customer acquisition: Using the target market and customer persona definitions, plan how you’ll acquire leads and customers with those interests and characteristics. Make sure both sales and marketing understand each other’s processes and what’s needed to succeed. Define key performance indicators: Establish a set of key performance indicators that will show how well the customer acquisition process is working. Useful data will include number of contacts per month, cost per contact, conversion rates, close rates and average sales amounts. Establish procedures for rapid feedback: Put together procedures and metrics that will quickly show you how well your sales and marketing efforts are working. Strive for daily feedback in the most important areas. Respond quickly to feedback: Immediate feedback is helpful only when acted on quickly. Remember you should be constantly evaluating and adjusting your sales and marketing strategies to accommodate your target market. Build trust and cooperation between your sales and marketing teams to allow rapid response to market conditions. Could more targeted marketing help you improve the performance of your sales and marketing teams? Pingback: 3 Marketing Trends That Will Become Bigger in 2014 | Continuity Programs Inc.
Pingback: Social Media Marketing Best Practices — 7 Qualities That Really Make It Work | Continuity Programs Inc.